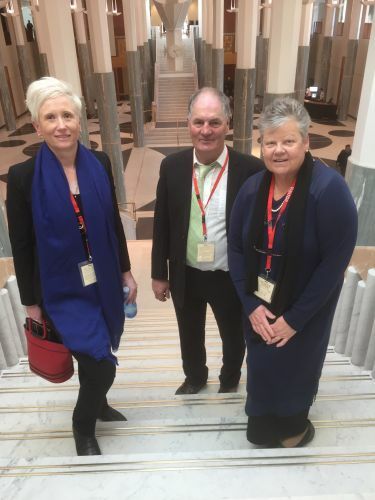 Mara Richards the CEO of the Robinvale District Health Service (RDHS) has just returned from Canberra after a visit there to highlight the impact of any funding changes to RDHS. The purpose of the visit was to relay a message to the Minister of Health, The Hon Greg Hunt MP, of the potential impact of any funding loss on our Primary Care workforce and the valuable care services they provide to our community! 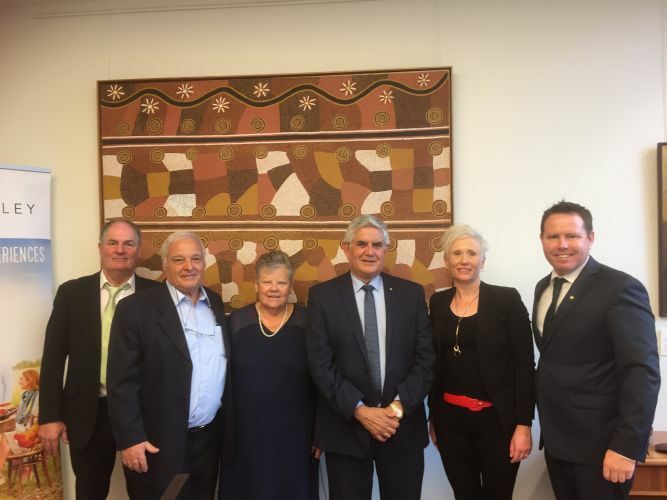 We also visited with the Minister for Aged Care and Minister for Indigenous Health, The Hon Ken Wyatt AM MP, to discuss our indigenous community and the potential need at some stage for culturally sensitive care arrangements. 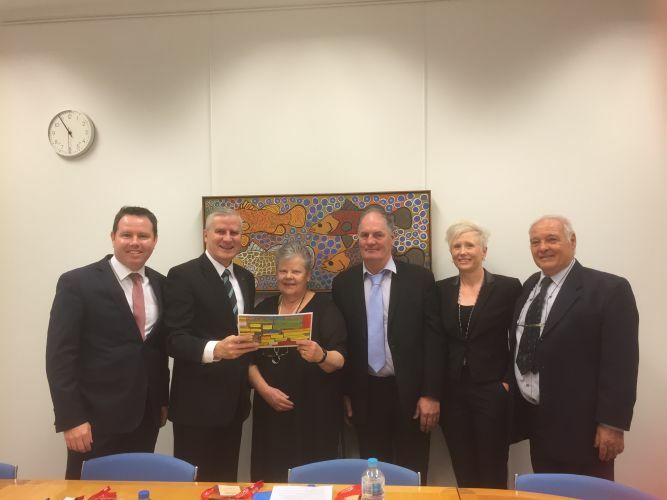 The Minister for Small Business and who is responsible for the ABS Census, The Hon Michael McCormack MP, was our last visit where RDHS discussed the impact that the current form of census is not collecting the data that accurately reflects the actual demographics and population of our unique community. Mr Andrew Broad MP, our Member for the Mallee, met with Mara some weeks ago where RDHS discussed with him concerns for future funding. 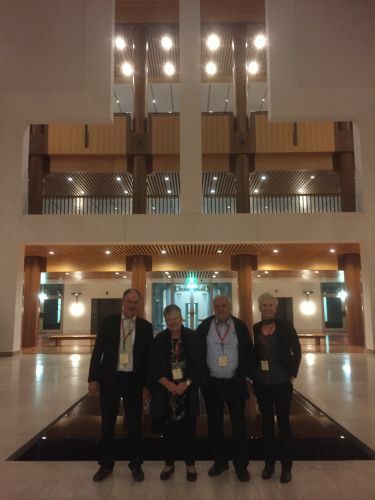 Andrew responded with very positive action in inviting both Peter Campisi our current Board Chair and Mara to Canberra to meet with the relevant Ministers. 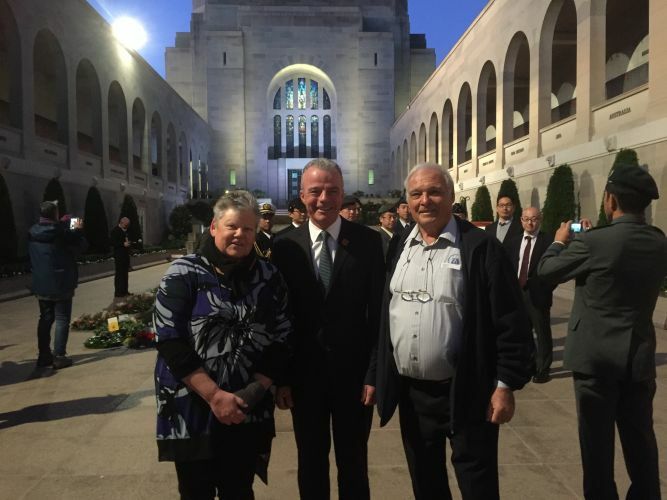 Andrew later met with Lois and then extended the invitation to include Mallee Track. Andrew hosted and attended each meeting in partnership with the group, commencing each meeting with an overview to the relevant Minister. Aged Care beds specific to being culturally sensitive into the future. The difficulties of being an MPS (Multi Purpose Service) and having 2 providers of funds, that is, Commonwealth and State. A brief discussion with Andrew Broad the responses to our various issues are open until we find mutually satisfactory outcomes for our respective communities that we proudly represent! RDHS will continue to positively profile the community of Robinvale and surrounds to either the Commonwealth or State governments as and when required and at any opportunity!